Juan is responsible for the Bachata craze in Australia & New Zealand as 2004 saw him in a new country & culture when he arrived in Sydney, only to find the dance he was most passionate about was a taboo, never played in nightclubs or taught at dance studios. Inspired as no one else can be with Bachata, Juan started running classes & workshops, as well as promoting Bachata music to various influential DJ’s, Nightclubs & Latin Events. It was from there his fame as ‘El Bachatero’ grew quickly making him the best know Bachata Instructor in Australia & New Zealand. He has taught hundreds of workshops throughout Australia as well as the USA, and currently runs monthly boot camps/workshops in some of the most prestigious Latin dance schools in Sydney. 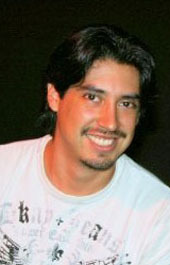 Juan is also one of the organizers of the successful ‘Sydney Bachata Festival’. 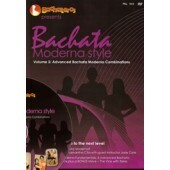 Juan’s unique Bachata style is known as Bachata Moderna, which is a mixed flavor of Zouk, Kizomba, Tango, Hip Hop, R&B and many other. He has an incredible talent of fusing the passion these dance styles have & yet remains true to Bachata form, maintaining the feeling & emotional elements that makes Bachata what it is. 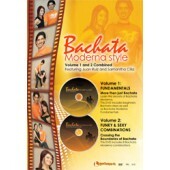 Juan's dance products are available on Zone Free DVD.